Sump pumps are used to send water out and away from a home. They are built in a pit or basin in the basement floor. Water drains into the pit, and once it reaches a certain level, it will be pumped out and away from the home to a safe distance — where it won’t be able to seep back into the soil and into the home again. 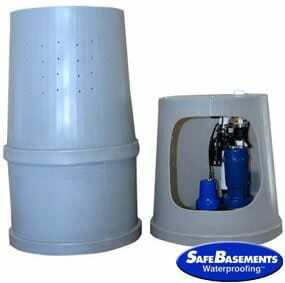 BDB Waterproofing offers sump pump installation in Omaha. We install Zoeller sump pumps that are designed with the basement environment in mind. These durable sump pumps will be able to handle moisture that collects below your home. A clear lid is installed over the pit for easy inspection or maintenance, and keeps things from falling into the pit. You may also consider adding a sump pump battery back-up for additional protection against moisture damage. If the sump pump malfunctions or the power goes out, the back-up will automatically activate and operate for several hours. This protects you from getting water in your basement at all times. 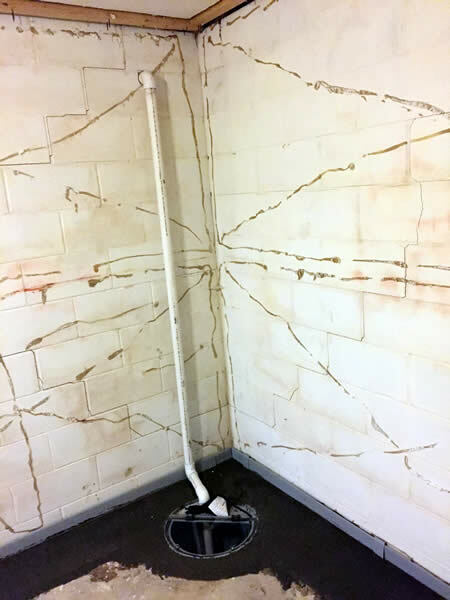 When BDB Waterproofing does a sump pump installation installs a sump pump system, we include a high-water sump pump alarm that will notify you if the pump stops working. We also add a check valve, which prevents water from the sump line from draining back into the sump basin after water has already been discharged from the home. BDB uses tough, reliable sump pumps in all of our basement and crawlspace systems. Our sump pumps use cast iron or stainless steel construction (depending on pump series used), and are continuous duty rated for worry-free operation. Our sump pumps are also highly energy efficient, using up to 172% less energy than conventional pumps, and come with a no-hassle, three-year warranty on all systems.